This is a very old story indeed! It is based on the novel with the same title, and Walt Disney decided to cut out all “the heavy stuff” from the novel to avoid a disappointing reception as he had experienced with the adaptation of The Sword in the Stone. Unfortunately Walt Disney died during production of this movie and never got to see the great result. I like it as a childrens story as the “bad stuff” never gets really bad here. 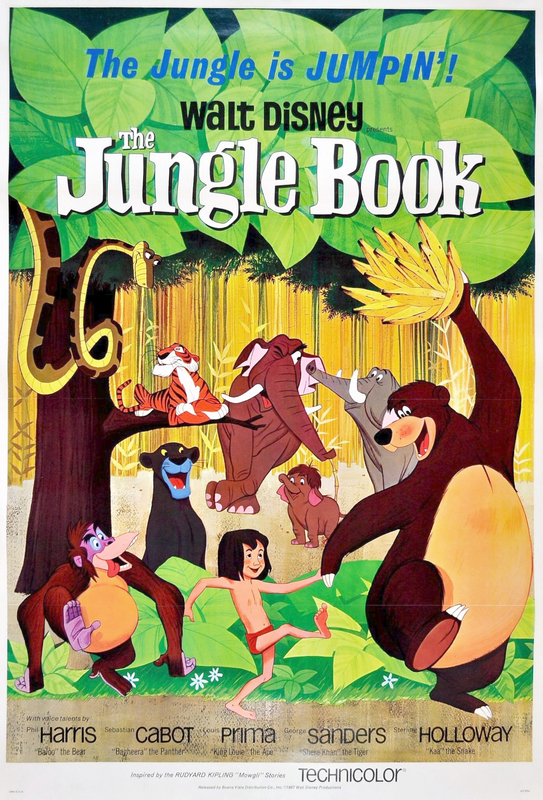 There is a scary scene though where Mowgli is hunted by Shere Kahn, and you might want to stay close by if your children are watching it alone. I also really like the ending. It is very sweet and fitting for young children growing up and learning what is important and exciting here in life.